The more ways you reach out, the better chance you'll reach an owner. In DealMachine you can reach out via direct mail, email, and phone in just 10 seconds. You can trigger an email to be sent to the owner automatically using Zapier (it's free). Imagine you see a dilapidated house and you snap a picture of it. Immediately - the owner gets a really personal email from you. Head on over to DealMachine's Integrations page and start a New Zapier Account (if you don't have one already). Select the DealMachine trigger called "New Owner Email Address." Then select your email provider for the action (I use gmail). Make the action "Send Email." 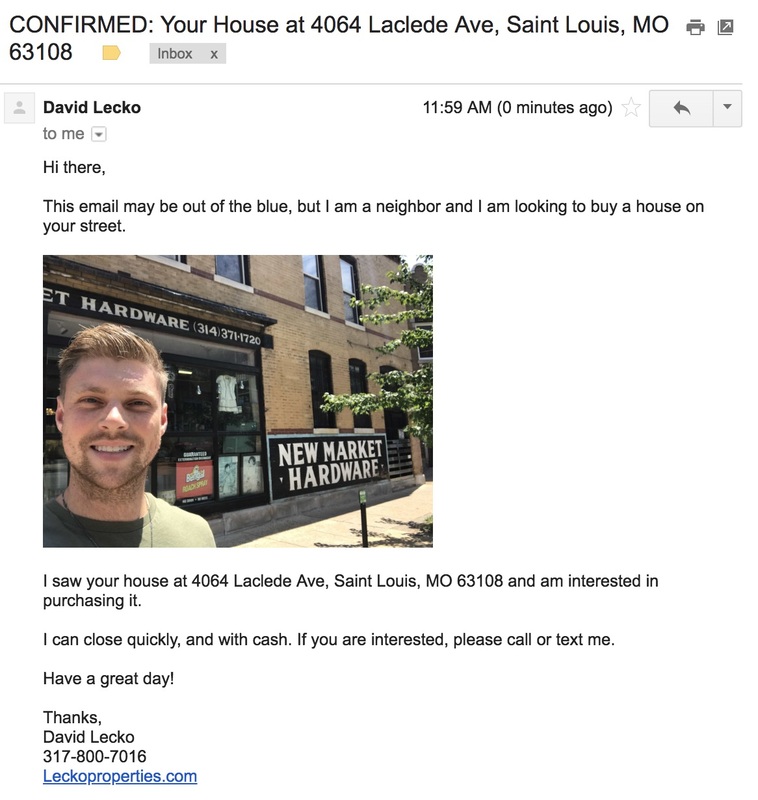 This email may be out of the blue, but I am a neighbor and I am looking to buy a house on your street. I saw your house at <Property Address from Trigger> and am interested in purchasing it. I can close quickly, and with cash. If you are interested, please call or text me. Click save and activate the Zap. Do a test by opening a deal in DealMachine. Scroll down to the "Emails" section. Add your own email. You should receive a copy of this email in your inbox! Note: once this is setup, if you do an enhanced search that brings back email addresses, it will send a copy of this email to the owner automatically.